Tiger has been one pleasant surprise after another. 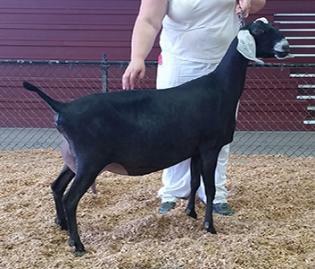 She freshened for the first time at 18 months in October of 2014. We kept her for two reasons, she has the highest rear udder in our herd and she is the last direct doe line descendant of Taipei. 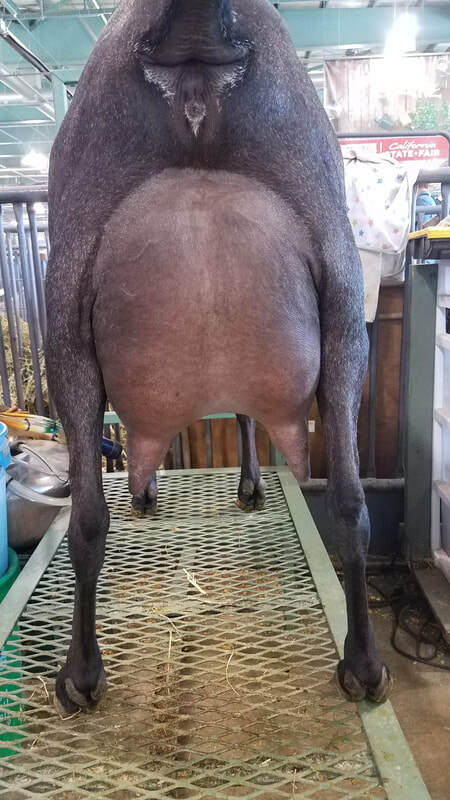 We did not show her until Fall of 2015 when she was first place over all our other 2-year-olds at 11 months of lactation. 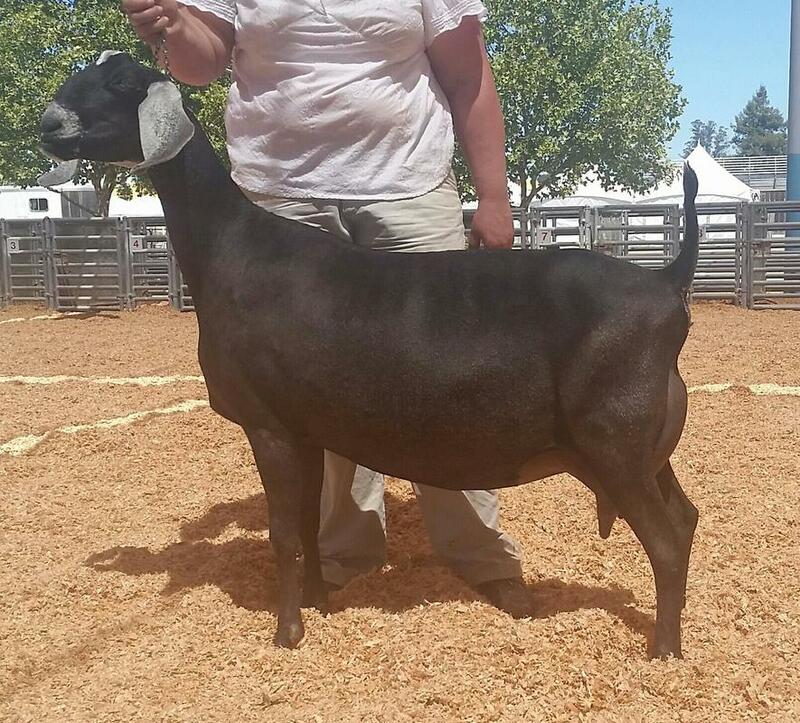 In 2017 she freshened late with a single kid. 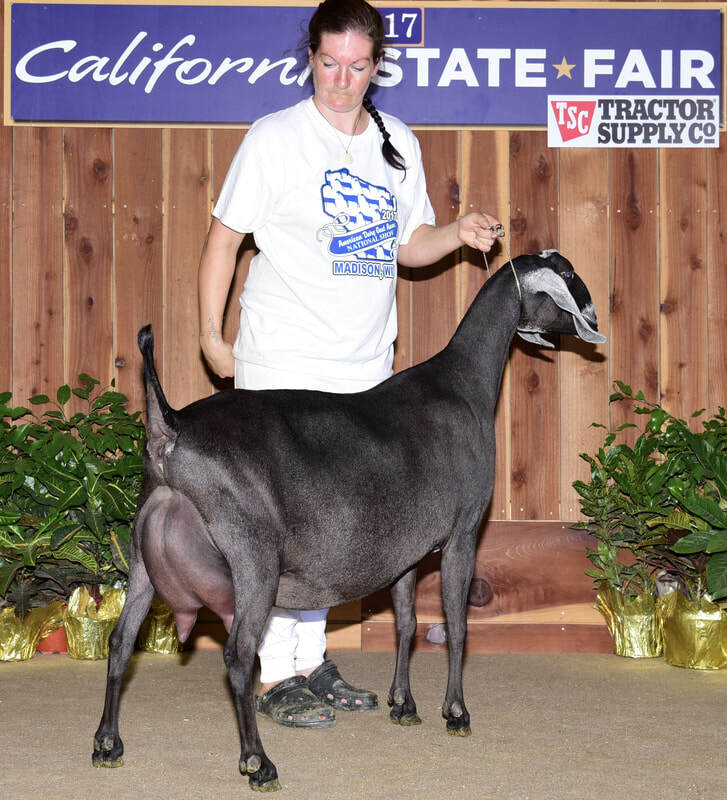 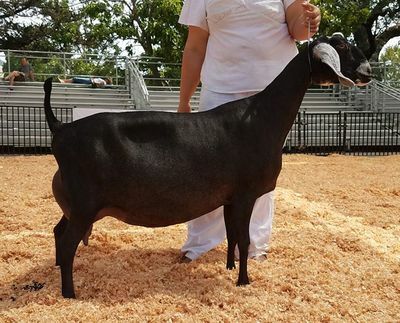 By late July she had blossomed and was named champion at both the California State Fair INBA Nubian Specialty and the Sonoma County Fair. 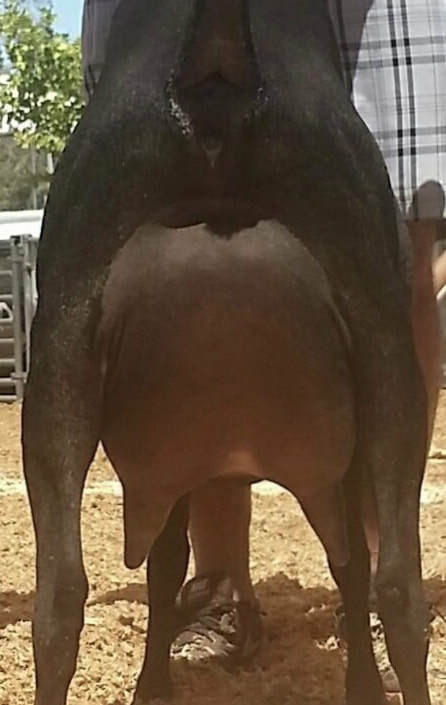 She has developed into a very angular and deep bodied doe and coupled with her extremely high rear udder she has been hard to beat in the show ring. 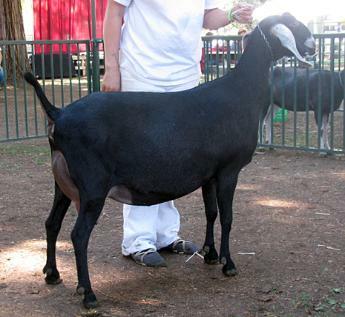 Tiger Lily resides at Goat San Dairy Goats with Trinity.